Chances are that if you’re reading this, you don’t have a great big Cadillac with gangsta whitewalls. If you did, surely you’d have better things to do than be on the Internet right now, such as slowly cruising the streets, stirring the envy of anyone who happens to look up from the Internet. But the important thing to remember this Thanksgiving Day (and every day) is that you don’t need a sweet ride to be grateful. You’re here and that’s enough—even if “here” is a relatively lowly place, be it the ghetto or a pop culture website. It’s a message that R&B singer William DeVaughn both preached and lived with his 1974 hit “Be Thankful For What You Got,” a song that topped the U.S. charts with a simplistic sentiment that cut through an era of pimped-out status-chasing. DeVaughn’s urging of his brothers and sisters to “stand tall,” whether they had a Cadillac or “a car at all,” was written and recorded while DeVaughn was just another dreamer working his government job. And its hopeful message resonated with both morally upright gospel audiences and those practicing the “gangsta lean” he sang about. But while you may know the song, you’d be forgiven for not recognizing DeVaughn had anything to do with it. In fact, DeVaughn’s smooth singing voice and churchly funk so echoes Curtis Mayfield on this track that it’s rare DeVaughn even gets the proper attribution—particularly in a post-Napster world, where all those mislabeled MP3s did their damnedest to erase DeVaughn from music history. You may also be more familiar with “Be Thankful” through one of its myriad cover versions by Love, Massive Attack, or Yo La Tengo, or by hearing its hook sampled in songs from N.W.A., Ludacris, and Ice Cube. DeVaughn himself didn’t do much to cement himself in its legacy, having only a couple of minor follow-up hits and becoming increasingly preachy in his live shows, before finally bowing out of the music industry altogether. 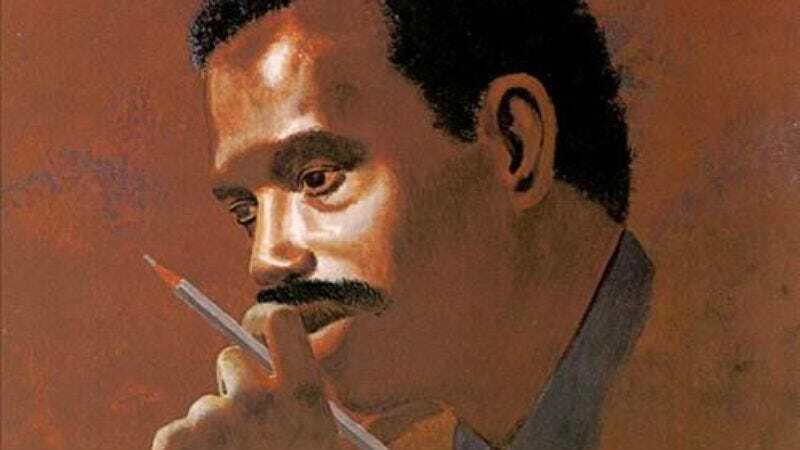 Though he may have never achieved the same stardom as his song, DeVaughn is no doubt thankful for what he got—an immortal tune that still moves people to this day. That’s his Cadillac with gangsta whitewalls; this Thanksgiving, remember to be grateful for yours.